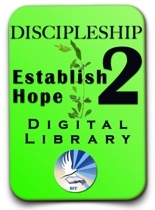 2 Timothy 2:2 The Plan of Discipleship provides practical advice on how one should disciple another and especially on how a leader of the church can implement discipleship training in the church. This is session 10/10 from the seminar Initiating Spiritual Growth in the Church. Click to start the video. Options will appear on the movie itself. Next -> Listen to or view session #10 of the discipleship training seminar. Or go to the main Nepali index.